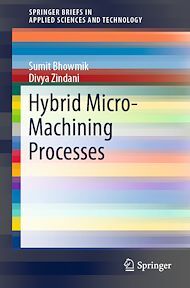 This book presents some of the recent hybrid micro-machining processes used to manufacture miniaturized products with micro level precision. The current developed technologies to manufacture the micro dimensioned products while meeting the desired precision level are described within the text. The authors especially highlight research that focuses on the development of new micro machining platforms while integrating the different technologies to manufacture the micro components in a high throughput and cost effective manner.